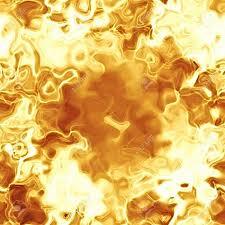 Gold Fire: Carries almost the same qualities as violet fire but is gentler and less effective as a cleansing agent. Powerful stimulant to the Immune system. Helps to awaken a person's own healing energies to assist the body in restoring balance. Gives you wisdom for decisions that support your life mission and Higher Self. Gold Sacred Fire represents of wisdom, understanding, judgment and amplifies the Christ Consciousness . Jesus Christ, is in charge of the Gold Sacred Fire. Gold Sacred Fire helps you to think in enlightening ways that can help you to stay on the spiritual path. The energy in Gold Sacred Fire can help people let go of harmful anger and fear, let go of destructive habits, think more positively, think more clearly, alleviate stress and understand God’s purposes for their lives more deeply. Gives new insights into difficult situations so you can make the best decisions in your relationships or your work. Lets you understand the underlining meaning of what people are trying to communicate to you. If you need to study and comprehend information for a test or presentation, Gold Fire helps to accurately absorb that information. Need creative inspiration for a project you’re working on, God Fire inspires you with new ideas, solve a problem, alleviate stress and recharge your energy levels when you’ve become fatigued. The ability to prioritize your to do list and know when its time to do nothing. The Gold Sacred Fire corresponds to the crown chakra, which is located at the top of the head on the human body. Gold Sacred Fire helps you physically (alleviate exhaustion or treat conditions related to the skin, muscles, or bones), mentally (recover from depression or clarify their values), and spiritually ( helping them discover and fulfill God’s purposes for their lives). Decree: I decree that a rain shower of golden fire is now cleansing my our aura. Now visualize a rain shower made of golden fire of Jesus Christ pouring down over you and through you. Clearing away all negative emotions and filling you with the love of Christ. Let it rain on you for at least two to 5 minutes . Notice how wonderful this feels. 2. Ground yourself by imagining sending roots out through your sacrum, through the base chakra, deep into the Earth. Feel your roots connect to the energy flow of the Head of the Dove Leyline. Imagine the White Gold Fire energy flowing from the Head of the Dove leyline into your roots. Feel yourself anchoring into the higher frequencies of White Gold Fire. Imagine the White Gold Fire flowing up your legs and arms. Maintain the flow into the your crown. 3. Vibrate with the frequency of the highest love and resonate with high consciousness. Allow it to bathe, soothe, balance and energize each of the glands in turn. => The pineal gland at the crown, which emits and absorbs lights and keeps us in divine harmony. => The pituitary gland at the third eye: the master gland, that of eternal life. => The thyroid gland at the throat chakra, which governs the metabolism and production of antibodies. => The thymus at the heart chakra, which governs the immune system. => The pancreas at the solar plexus, which deals with sugar and nourishment, enabling us to absorb emotional and mental sweetness. => The gonads, the ovaries and the testes at the sacral chakra, which govern the sexual and reproductive organs of the body. => The adrenals at the base chakra, which send out adrenaline in response to the fight mechanism of the body and gets rid of rubbish. 4. Let the Gold Fire Energy flow through you back into the Earth. 5. Picture a problem or difficult situation in your life and visualise the Mahatma Energy flowing through it, breaking up the old vibration.